You saw what in the bay? On July 27, a south Siesta resident sparked a lot of attention after he began distributing a photo he took in Little Sarasota Bay. A resident of the Island Reef condominium complex on South Midnight Pass Road, Rick Wulterkens said he was watching a group of manatees when he spotted an alligator heading toward land. 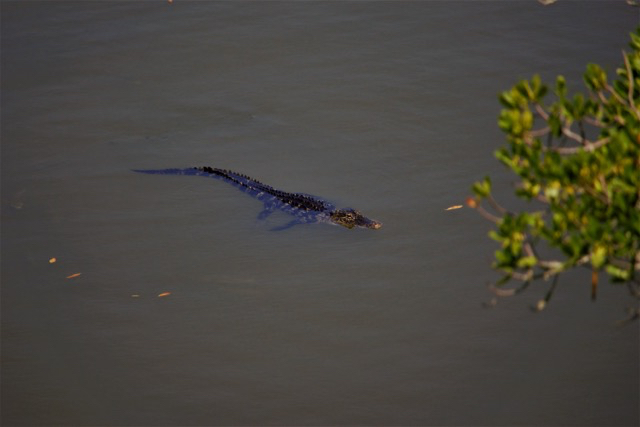 Of course, we are not sure whether the gator in Little Sarasota Bay might still have been looking for love. Regardless, residents are keeping a keen watch when they are near the water, just in case the critter is lingering in the area.